Sonu Nigam is a singer from India. He was born on 30th July 1973 at Faridabad, Haryana, India. His father’s name is Agam Kumar Nigam and his mother’s name is Shobha Nigam. Sonu Nigam has one sister. Her name is Teesha Nigam. She is also a Professional Singer. Sonu Nigam is married. His wife’s name is Madhuri Mishra Nigam. They have a son. His name is Neevan. Check out the table below to get complete information on Sonu Nigam. 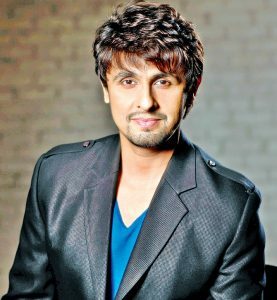 Sonu Nigam’s height is 5 feet 7 inches and his weight is 65 Kg. His age is 45 Years. It is not known if Sonu Nigam smokes or drinks alcohol. Sonu Nigam has also worked in Reality Shows like Sa Re Ga Ma Pa, Indian Idol etc. as a Judge.